Lock in a great price for Kyoto Hot Spring Hatoya Zuihokaku Hotel – rated 8.9 by recent guests! Located right by the main train station, the hotel is super convenient for accessing Kyoto and daytrips throughout the region. The hotel is brand new and feels wonderful: spacious lobby; lovely restaurants (we didn't eat at the restaurant or the bar but did peek in); comfortable rooms with great bathrooms (with separated washing area from toilet area from sink area); the spa/bath was WONDERFUL, with both indoor and outdoor soaking tubs. We selected a Japanese style tatami room, with the mattresses straight on the floor; it's comfortable if you are ok with a hard sleeping surface. If you prefer something softer, you may consider a western style room. The rooms were also supplied with bottled water, hot tea, a kettle, and a mini fridge so we were quite pleased. Location is a few blocks from the train station giving you a lot of options regarding eating and shopping. So close to kyoto station. The room was so comfy for 4 people. The onsen is also great and clean. Very recommended. Hands down the best hotel in Kyoto ! The spa on the top floor was just fantastic after a long day of temples. Not to mention that they sold good ice cream on the top floor which worked well with the spa. Location was great as well! Right next to Kyoto main station ! The location was definitely a plus for us since it’s so close to the train station and we needed to connect the airport. The staffs are very friendly and helpful. The baths were great! The rooms as well were very comfortable and clean. The location as well was hard to beat, and my wife and I quite enjoyed the Annie Hall bar on one evening we went there - also, for as much as they had on stock, the price was quite good for the selection they had there. In room hot spring is my favorite while our teens we’re amazed by the publicly shared hot springs. Great location, but probably not the most tourist friendly hotel. The facility and amenities are good. Maybe at least one vegetarian option at your restaurant for those that do not eat meat or seafood would be great. 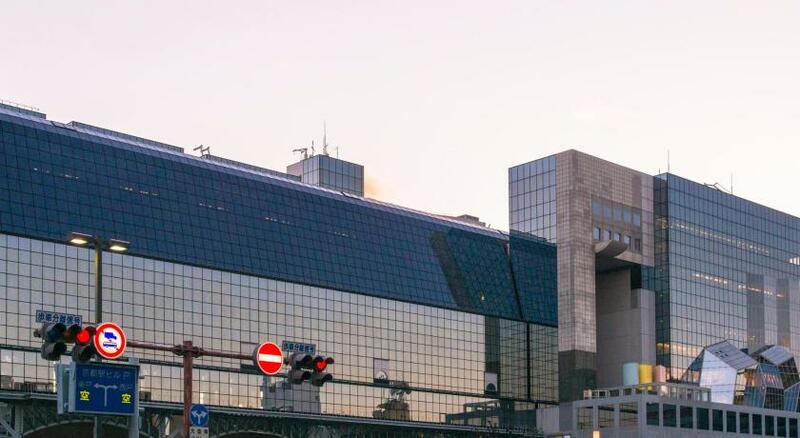 Kyoto Hot Spring Hatoya Zuihokaku Hotel This rating is a reflection of how the property compares to the industry standard when it comes to price, facilities and services available. It's based on a self-evaluation by the property. Use this rating to help choose your stay! Just a 5-minute walk from Kyoto Train Station’s Karasuma Gate, Hatoya Hotel offers Japanese-style rooms with an LCD TV and a private bath. Free Wi-Fi is available at the entire property and relaxing massages can be requested for an extra cost. Guests can refresh in the public indoor/outdoor hot-spring baths located on the top floor, after a long day of sightseeing. The traditional rooms at Hatoya Zuihokaku have a tatami (woven-straw) floor and Japanese-style futon bedding. All are air-conditioned, with a fridge and green tea and are completely nonsmoking. 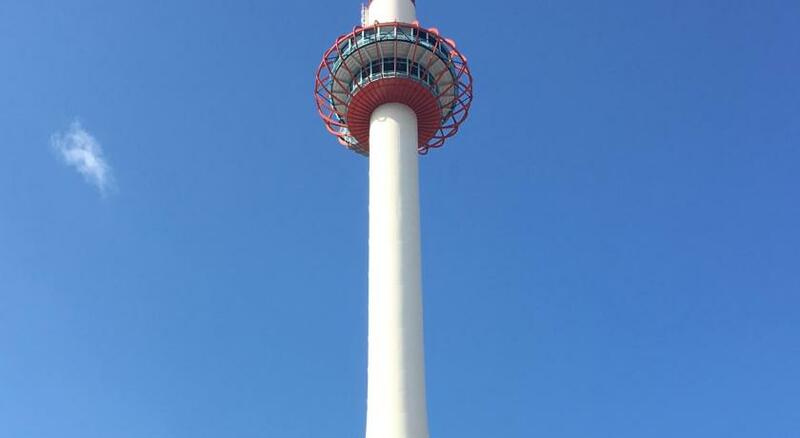 Kyoto Tower is a 3-minute walk from the hotel. Kyoto Imperial Palace is a 7-minute subway ride, while Kiyomizu Temple is a 10-minute bus ride away. Bicycle rental is on offer. The hotel has a shop selling local items, and provides luggage storage at the front desk. A coin launderette is also available on site. Japanese Restaurant Eijuan serves traditional Japanese cuisine, while tea is served at the cafe and shop, Kyomiyama. Guests can also access the sky terrace on the top floor for a breathtaking view of Kyoto city and the surrounding mountains. When would you like to stay at Kyoto Hot Spring Hatoya Zuihokaku Hotel? Public parking is available at a location nearby (reservation is needed) and costs JPY 1800 per day. This family room has a flat-screen TV, air conditioning and electric kettle. This family room features a satellite TV, seating area and electric kettle. This twin room has a seating area, electric kettle and air conditioning. House Rules Kyoto Hot Spring Hatoya Zuihokaku Hotel takes special requests – add in the next step! Kyoto Hot Spring Hatoya Zuihokaku Hotel accepts these cards and reserves the right to temporarily hold an amount prior to arrival. This was my first time sleeping on a futon mattress/ tatami floor, and while I didn't mind, I can see if some find it to be too hard to sleep on. Great breakfast. Super helpful staffs. Location is good. We were group of 6 person and to drag all luggages from Kyoto station were easy enough. The onsen was amazing. The staff was very nice and professional. We were able to leave our bags at the hotel before checking in. The breakfast was amazing!!! I loved it all. It is definitely worth the price. Small bed, small shower, room was cold and very basic. Twin rooms with tatami area (on 4th and 5th floors) are facing office building next when open the paper wall at the window, so not a nice view out at all. Ok when staying only one night. You have to walk approx. 8 min. to Kyoto station. Higher prices over weekend. Black suited waiters in breakfast room stressed to finish breakfast on time on Saturday (until 10am!) in body guard manner. Nice hot spring with open bath (Onsen) on roof floor and japanese breakfast are great features of this Hotel. Nice ambience on 1st floor with entrance, reception, small shop and restaurant. Front staff are very friendly. Kyoto station is 8min walk away. Affordable prices during weekdays. The room is spacious and it come with futon bed and my kids are enjoying it. Hot spring is a plus point. Although the Japanese Breakfast was delicious, the lack of western style breakfast option meant that half of our party chose not to stay at the hotel for breakfast. The onsen facilities are great and the hotel provides a very good explanation of how to use the traditional Japanese style hot spring bath.